There's nothing as fleeting as a pop-up concept, and Poquitos Cantina is exactly that. Taking up residence on a section of neighbourhood that's due to be rebuilt, this eatery is carving out a niche for itself in a busy culinary area (think Savio Volpe, Sal y Limon, Les Faux Bourgeois). With tapas and drinks in mind, I went over a couple weeks ago to experience the menu for myself. The main takeaway is that Poquitos Cantina serves a unique niche and it's really not another taco joint. Disclosure: This was a complimentary tasting provided in exchange for an honest overview and no monetary compensation. I've marked the item I paid for with a star. The paloma was made with tequila, muddled grapefruit and lime juice with a salted rim. This was a fruity cocktail with excellent muddling. I found zero extraneous grapefruit bits lost into the cocktail and loved the tart lime flavour. Our other cocktail tonight was the spicy marg, a house-infused spicy mezcal with lime juice and a tajin-spiced rim. We chose this cocktail to experience a bit of heat and the Tajín (a Mexican spice company) delivered on every lick of the spiced rim. For those unfamiliar, mezcals traditionally have a smoky flavour that make them taste richer than tequila (one of the other national liquors of Mexico). Moving onto the food, the biggest mention needs to be the alitas de pollo (Spanish for "chicken wings"). Opting for a dousing of Gigi's Hot Sauce proved to be my undoing. These wings were a slow burn that tested my tear ducts and triumphed. I was a crying mess eating these wings and ended up taking a few home to eat in solitude. It's a little strange on the menu that the spiciest option is listed first in the list, but I'm assured that the staff will warn diners if they opt for Gigi's (I didn't get this warning because I'm supposed to know what I'm doing). If you're looking for heat, look no further than Gigi's. Next up was the dungeness crab dip, an ancho-spiced crab dip with onions, radish and cilantro, served with poquitos chips. This was a sizeable dish with real crab from which we could scoop up globs of poquitos chips from. My only gripe about this dish is that speed is key to enjoyment. If you linger too long on a cocktail or conversation, you might find the poquitos chips on the bottom soggier than you would like. 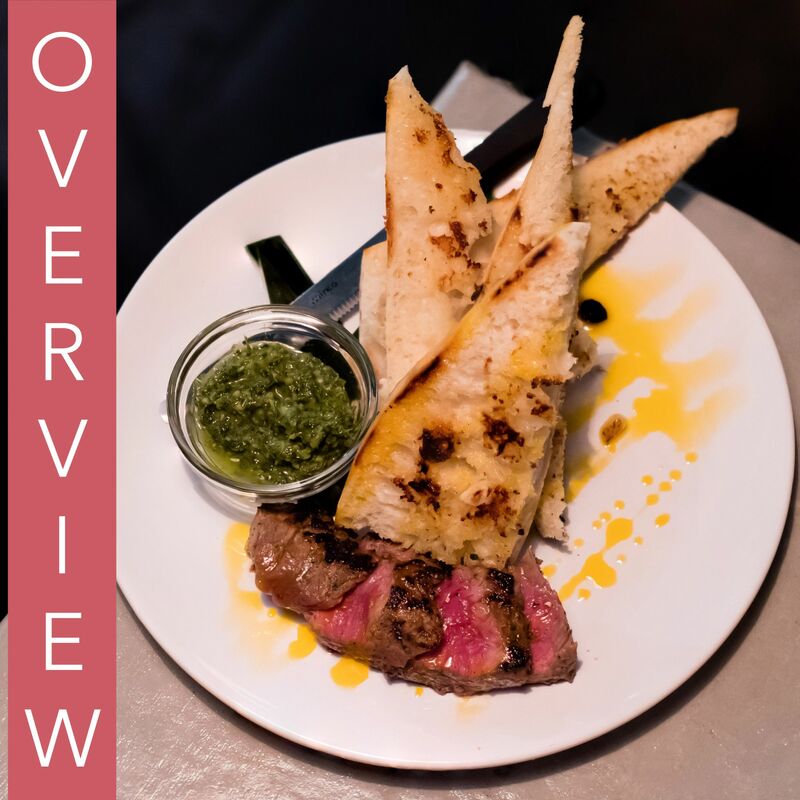 Moving onto some red meat, we also enjoyed the borracho steak, which was beer-marinated steak served with chimichurri and grilled garlic toast. Some more vocabulary for you, "borracho" means "drunk" in Spanish. In any case, the steak was cooked to order (we chose medium-rare) and that's exactly what was delivered. The combination of garlic toast, chimichurri, and slices of steak made for a very finger-friendly experience (see, you'd normally have a fork and knife for your steak, but those are optional for this borracho steak). This was the most elegant-looking dish out of the 4 tapas we ordered. My favourite dish of the night was the Honduran ceviche. Featuring a coconut ginger lime snapper served with poquitos chips, this was a complex flavour profile on my palate. The ginger provided just the tiniest bit of bite back on each piece of ceviche, which by the way, was very juicy and well-prepared. As opposed to the crab dip, the poquitos chips here were served on the side. This allowed us to decide how much ceviche to lather onto each chip and ensured each chip was crispy on consumption. Ceviche is a heart-and-soul dish of Latin America so I think barring any vegetarian/vegan diets, the ceviche is the dish to get for any first-timers at Poquitos Cantina. There may not be a traditional dessert menu, but you can bet Poquitos Cantina has one on-hand, verbally. We chose the chai panna cotta for this occasion. Normally panna cotta is a simple Italian cream pudding that might be served with a raspberry compote, but Poquitos had an interesting spin. They infused chai into the panna cotta and also dressed it up with the classic raspberry sauce. I thought this was a creative take on the Italian favourite, and at $6 a pop is a very inviting price for dessert. Poquitos Cantina is located in the Fraserhood near local favourites like Crowbar and Los Cuervos. Inside Poquitos is a Latin-inspired tapas bar with pastel colours, dim lighting, and a wide variety on the bar. There's only seating for about 24 guests (tables, booths, and bar seats) but it's a very intimate environment with cushions along the benches and a large window to look out onto Kingsway from. The vibe inside is really chill that seems perfect for an evening to catch up with an old friend or savour the finish of different mezcals and tequilas. If you walk down the hall to the bathroom, you might be pleasantly surprised to see a photo of the famous Mexican couple Frida and Diego Rivera adorning the door of the unisex bathroom.